Physical Therapy and Acceptance and Commitment Therapy are two of the most important therapies for pain relief. To live an active life beyond pain, Jennifer Battles believes that combining ACT with PT is the best method. Your time and focus shifts from finding a way to reduce the pain to living your life knowing that your battling the pain and winning it. 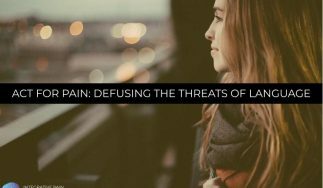 She shares her research about ACT, values, goals, and how to defuse unpleasant sensations, thoughts and emotions when you are in pain. We’re going to talk about the importance of combining what are two of the most important therapies when it comes to pain relief and living a full and active life. 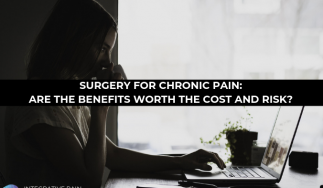 One of the greatest challenges to living with chronic pain is that you often spend so much of your time focused on trying to reduce the pain rather than living your life. The longer that the pain persists for, the more it can take over and loom a big dark cloud shadowing every aspect of your life. It may prevent you from going to work, enjoying free time or leisure with friends and family. It gets in the way of you being active. It stops you from attending church. It prevents you from going to school and from being affectionate, loving and much more. Because of this, it can be easy to forget about who and what in your life is important to you. Instead of living your life, your full-time focus becomes about how you are going to control your pain at every moment of every day, and the tug of war begins. You become a locked in a contest with a big, huge pain monster, and you each have one side of the rope pulling and pulling, fighting and struggling. The more you pull against this big, huge pain monster, the more he pulls back until eventually you become exhausted. There is hope and it begins with realizing that you have an alternative. The alternative is that you can simply drop the rope in this tug of war you’ve been entrenched in for months or even years. Once that happens, once you drop the rope, life begins to change. A veil is lifted right in front of your eyes and now you have the vision and awareness, and you can take notice of the parts of your life that you’ve left behind. This is where you have the opportunity to pick up the pen and write a new story for yourself. This is where things begin to open up. As you think about that and we ease and breathe into this podcast, I have one important question for you to reflect on in the service of rewriting your story beyond pain. Who or what is most important in your life? The question I’m asking you is the question of what is called values. Values are essential tent of what’s called ACT or Acceptance and Commitment Therapy. Our values reveal what we find meaningful and important in life. They’re what you care about way deep down inside yourself. Often they’re the main driver of how you engage with your world, with the people around you, and even with yourself. Values are different than goals. People often get the two confused. Goals can be mapped out on a timeline and can be achieved. They can be checked off your list. Whereas values are more the needle of a compass, pointing in the direction of what’s important in your life. For example, physical health is a value. Jogging twice a week for 30 minutes is a goal. If you’re active, let’s say, in the physical therapy program, connecting a goal with your values is the way to stay motivated. For example, let’s say your value is to be a loving and evolved grandparent. The goal of increasing your endurance so you can walk a mile remains important, because chances are your grandchild’s probably active and wants to go do things out in the park, running around the playground, play catch and walk on the beach. To help you reflect on your own values and understand them better, I’ve created a simple and easy worksheet for you. You can use this whether you’re someone with pain or a practitioner who wants to bring more of a value-focused perspective into your treatment with patients. I call it my Values Inventory Worksheet. It’s super simple and only two pages. To download this handy worksheet, simply type in the URL www.DrJoeTatta.com/83. If you’re on your smartphone, you can simply text the phrase “83Download” to the number 44222. Go ahead and take action on that now as it will help you with understanding this topic and podcast. In addition to the worksheet, as an added bonus, I personally recorded a meditation that will help you gain some space and room from negative thoughts. If you are a regular audience of my podcast, you know how much we talk about negative thoughts. Even though they’re normal, it would benefit your pain if you developed a way to gain some distance or some space from them on a regular basis. If not, they can make the pain worse. Ideally, you would listen to the meditation first and then you would sit down and complete the Values Inventory Worksheet. Remember, the Values Inventory Worksheet and the free meditation can be found at www.DrJoeTatta.com/83 or if you’re on your smartphone, you can simply text the phrase “83Download” to the number 44222. Joining us on the podcast, we’re going to hear from a wonderful psychologist who is in the process of finishing up her doctor degree and has already completed some interesting research. Her name is Jennifer Battles. She’s going to speak to us about the intersection between values and goals and what it means for living an active and meaningful life. Jennifer has studied how Acceptance and Commitment Therapy can be used in a physical therapy setting for people with pain and other challenges. She’ll discuss her research, ACT and concepts such as values, goals, and defusing from unpleasant sensations, thoughts, and emotions when you have pain. I’m excited for Jennifer because her work is aligned with the message of this podcast. I know she’s going to continue to do great, amazing research as her career continues to develop and further blossom. I’ve given you some solid things to try and experiment with. Set aside some time and plan to do some of the work. In the meantime, let’s begin this interview with Jennifer. I know you’re going to enjoy what she has to share. Jennifer, welcome to the Healing Pain Podcast. It’s an honor to have you here. One day I was scrolling around PubMed or Google Scholar and I was looking into ACT or what’s called Acceptance and Commitment Therapy because it’s something that I started to study and use myself with patients, and I came across something called Acceptance and Commitment Therapy and Physical Therapy Adherence. It was a wonderful paper written by you. Can you tell us where you currently are on your studies? I am currently a second year doctoral student at Eastern Michigan University. The paper that you’re referring to, I actually wrote when I earned my master’s degree at Missouri State University working under Dr. Ann Rost who’s a leading expert in chronic pain and ACT treatment. Currently, I am conducting further studies with my current mentor Dr. Tamara Loverich, who works in weight management and ACT. I know you’ve had a few people on your podcast who talked about weight and nutrition and how that impacts chronic pain. That’s the direction that I’m moving right now. They’re all related, all about health behavior change and how ACT can help us with this. To give people some context, you are a graduate student in psychology. Yes, clinical psychology. We’re focused on understanding how human behavior works and mental processes. I am particularly interested in integrated psychology, looking at how physical and mental health work together to create health behavior change. Integrated psychology is looking at how physical and mental health work together to create health behavior change. The paper that I happened to find on the internet that you worked on and created was your master’s thesis. How did you decide to look at how ACT could influence adherence to physical therapy? This was both personal and my mentor had always had this project in mind as well. For one, I started working at Integrated Care Clinic that looked at headaches and migraines. Most people with headache and migraine tend to go through some round of physical therapy at some point. With most of my patients, no matter what they were prescribed, they never followed through. This is hard. Life in general, when you’re adding all these exercises at home, hours of PT, it can be challenging to fit in. It was frustrating both as a clinician and as a clinic as a whole to try to help clients achieve their goals with physical therapy. Personally, I’ve had to go through PT at about the same time that I started my thesis as well. It was also personally meaningful to get to do a project this. The reason we chose ACT is that it is about being in this space of acceptance, present moment mindfulness is what you prefer to it many times, and connecting to values. I thought this was a perfect model to apply to something that is so challenging for so many people. Most of us have to do this, whether or not you have chronic pain. We all experienced injury at some point and are recommended PT quite frequently. It’s interesting that you went through physical therapy yourself. Obviously you’re a practitioner. What was your experience of actually being in and going through physical therapy once you’re there versus what you thought about the field, the profession, or the treatment beforehand? 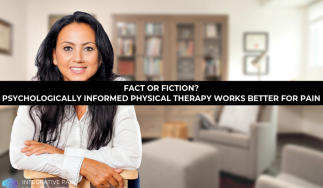 As professionals, as a physical therapist, we still have a lot of work to educate the public about what we do, why it’s effective and how it can be effective. How did you confront that and see them recognize that? That actually led me into this treatment modality. I thought physical therapy was scary when it was first recommended to me. I imagined that I would be spending all my waking hours working. I had a knee injury, I dislocated my kneecap. To avoid surgery, I was prescribed many months of PT. When I first heard that, it was mind blowing. I guess it depends on everyone, but I had started a very active lifestyle previously. When I had to do PT, I thought my whole life would change. Psychology and PT are so compatible because it’s about living the life that you want to live with or without injury. That was a big shift in my mindset with PT. Yes, I have this injury but no, it does not mean that my whole life has changed and that I can’t still do the things that are meaningful because I’m going through this. Because I had such a good experience with PT and a lot of challenges doing the recommended, this was an interesting research question. I had also gotten the training on ACT and was becoming fluent in behavioral analytics theory so this was a perfect combination for me. It’s interesting to talk about it as practitioner to practitioner because when you traditionally think of behavioral change or cognitive behavioral therapy, we think that obviously is a specialty and lies within the scope of mental health, so to speak. As physical therapists, so much of what we do on a daily basis is prompting, if you will, a patient to grasp some type of behavior change, whether it’s an actual exercise or some physical therapists work with nutrition or other types of intervention. There’s a lot of cognitive and behavioral change that happens on a regular basis. As you experienced, it can be difficult to say, “I’m ready to do physical therapy and tackle this for sometimes weeks or months at a time.” I’m glad that you had that experience before you tackled the project because I’m sure it influenced how you looked at your thesis. ACT is what’s known as third wave psychology. How did you start to take that broader umbrella of third wave psychology and distill it down into an intervention for physical therapy? We know that ACT specifically is evidence-based for chronic pain. Because of that, we use the manuals. I know you interviewed Dr. Kevin Vowles. The manuals that he’s written and a lot of work with McCracken as well, their manuals are wonderful examples of how ACT can be used in the healthcare setting. We’ve looked at the research first and determine is there evidence for this? For starters, yes with chronic pain, and with increasing something like physical activity. That’s probably where all of my research interests me in the middle. It’s that ACT is useful for getting people moving, getting them off their butts, off the couch, and getting them in contact with what’s meaningful in life. That’s how we first started this. What we then responded to was a need in our community. At Missouri State University, they had opened a brand new clinic. The physical therapy unit was very popular. They needed someone to be there. Certainly we are not new in the sense that therapy has been introduced in this kind of setting. What was new was bringing ACT into that work. Psychology and PT are so compatible because it’s about living the life that you want to live with or without injury. You developed your thesis and how do you go about reaching out to the physical therapy clinic? A lot of therapists are not familiar with what ACT is or how it can help inform outcomes in therapy. What was the type of interaction you had, whether you talked with the PT director or a specific therapist in that facility? I would say that was the hardest part of what I was doing. Once I was able to do the intervention, things got much easier for my life. When you don’t work in an integrated system, getting in contact with people is very challenging. When they hear that someone wants to introduce another element to treatment, usually what they hear is more work, another person to introduce, more time, energy and money that goes into opening our clinic, having someone there. I was fortunate that the director at that clinic was open and receptive to that at first. It took a lot of me presenting a research and telling him like, “ACT is something that has been shown to work in these other settings. This is not outside the realm of its possibility. We want to be the first to try and help see improvement in this.” We’re in a university setting so that helps as well. If you are out in the real world, so to speak, life becomes much more challenging without that integration. That is where I have learned where I would like to implement a lot of work in my own life. Here at Eastern, we have a lot of emphasis on systems level work. That is so valuable because as healthcare providers, we often try to work in our own bubble with patients, with other providers, and forget that there’s a whole system that sometimes is the bigger barrier for our clients. It’s true. Right now, especially in pain care, there are integrated clinics but they are not enough. There are wonderful practitioners, physical therapists, psychologists, social workers and occupational therapists, but in general, we’re all working in our own silos. The work that needs to be done is bringing the professions together, or if you’re in a small town, that you may be the integrative practitioner yourself and you may start to adopt some of those skills. Can you talk to us about what the actual ACT intervention was? Did you do it alone or did the physical therapist do it with you? Did you train or educate the therapist? What did that look like? I performed four sessions of ACT that was a pared down version of the manuals written for chronic pain. I worked closely with the physical therapist. He and I had meetings about the individual clients every week. I will go over what we had gone through in therapy, what barriers they were telling me, and comparing that to the barriers that they were describing to their physical therapist, which I think was a unique way to help clients begin to see that this is integration and we’re a treatment team. For example, one client I had was not English native speaking. We had to do a lot of work with problem solving around how she learned about the intervention both from a psychological standpoint and from PT, like how to do the things we were saying. It took a lot of work with the physical therapist and I together to help make something like that happen. We went through four sessions of ACT where we hammered a lot of the skills that you would see in any manual. It’s very hard. These were hour and a half long sessions and that was because it’s a four-session model. We would always do the session immediately before and immediately after a PT. The purpose of that was to get at exactly what internal experiences are getting in the way of you engaging in the physical therapy session as well as what might get in the way for when you’re at home and you don’t have either of us there. This required quite a bit of flexibility both for myself and the physical therapist. We had to loosen up what it meant to do our traditional jobs. Sometimes I would do therapy sessions on a treadmill or I’m helping people when they’re in the warm down phase of PT. That changed my perspective of what therapy could look as well as for the physical therapist, having someone else there and integrating what we were learning in therapy at the same time they were doing the hard work. In traditional psychotherapy, you may be sitting across from someone on a chair or a couch talking, but now you’re in the actual physical environment where some of these uncomfortable sensations may be arising in a patient. Did you find that to be more beneficial? What is interesting for you as you work with people? Probably the biggest strength of this study is that we’ve talked about exposure quite a bit across psychology. It’s very evidence-based for social phobias, for other phobias, for anxiety in general. This is a unique way to apply that principle. We are getting people in contact with the experiences that they struggle within their daily life. Sometimes going to the PT clinic is in itself nerve-wracking and can mean a big change for them, especially if we’re talking about someone who has had no exposure to PT prior. That first time can be especially overwhelming. I was with them from the first time that they started. They knew me, they knew my purpose. We collected a baseline period to see without intervention, what exactly are you doing? Do you do the things at home? How do you engage in session? They knew I was a present person there. When I started the intervention, it was very smooth. I helped people in the crux of their anxiety, in the crux of the pain that they might be feeling. I think about your point of people arriving to their first physical therapy session. You walk into an office, sometimes it looks a gym, sometimes it looks someone might massage me. It’s very unclear exactly what is going to happen. When I’ve worked with therapists and trained them, I advise most practitioners, physical therapist anyway, to at least spend about 30 minutes talking. Part of that’s the patient intake. The other part is explaining what therapy is, what’s going to happen over the course of two, four, six, eight weeks. Other than anxiety that someone may have had on their way to their first visit, as you’re working with them through those four different phases, what are the types of emotions, thoughts, unpleasant experiences were people articulating to you? I would imagine they might be comfortable articulating something to you and not the actual physical therapist that was treating them, which is interesting. Sometimes going to the PT clinic is in itself nerve-wracking and can mean a big change for them, especially if it’s someone who has had no exposure to PT prior. I would say with all of the clients, that is exactly what we experienced. My sessions with a physical therapist were usually me saying, “I don’t know if you know this, but your patient thinks this about what you gave them.” That’s a wonderful piece of what we did. I would say for most clients, what they came in with was the fear of the future, the fear of what physical therapy might mean for them, the fear of it not working. Also the loss of pleasure, the loss of comfort. As humans, we are designed to seek out those things. That’s what the behavior analytic theory tells us. We want to feel as comfortable as possible. We’re adverse to a lot of pain. We spend a good chunk of time avoiding. That avoidance is manifested in our thoughts, our feelings, and our actual behaviors. We spent a lot of time first identifying them. Often people are unaware of what goes on in their head when they’re at home. They try to sit down to do something like a PT exercise. That is where the mindfulness work comes in or present moment awareness. It’s becoming aware of what thoughts come in your head. A common one is “When I sit down to do this, this is boring” or “I’d much rather be doing something else.” That is particularly a great thought to work on first because this is a great example of how we can introduce something like willingness. Can you be willing to experience loss, pleasure and boredom to do something that’s important to you such as completing or your PT goals? You started to touch on probably two of the six principles of ACT that try to inform care. I do think that mindfulness is a big component in a PT setting. Can you talk a little bit about self as context within the PT setting and how that might help a patient or a physical therapist with getting through the rehabilitation? Self as context is challenging for many clients to grasp. Often we get caught up in the language of that. Dr. Kevin Vowles talked quite a bit about the trouble with language, so to speak. In its most simple form it is being able to take a step back and become an observer to not get caught up in our context or the ever changing emotion, the ever changing thoughts that we have. It’s taking a step back and seeing yourself as completely whole. Sometimes we call this the transient sense of self. A common exercise that we did and one that we did in this protocol was to think about and remember times throughout your life when you experienced many different experience when you were a young child, when you were a teenager, when you were a young adult, your current stage. What this exercise teaches you is that you were the same person through all of that. What has changed is actually your thoughts, your feelings, the context, but you yourself were there. What this does in PT is it allows you to see that this is not forever. The person that is you and sitting in this situation will be the same year that is there a week from now, a year from now, or ten years from now. That is a powerful place because it means that what is happening right now does not define me, does not make me this person. This is heavily tied to things cognitive diffusion that we work on in treatment which is getting this space from our thoughts and being able to watch them without much attachment to them. These two often work in tandem. I often don’t ever introduce self as context without doing some of the cognitive diffusion work. What’s interesting when I look at ACT, it does seem to have sprung up from Buddhist principles, which is brilliant because some of the Buddhist principles are articulate and beautiful ways to explain how someone can be present with suffering but decrease it as much as possible. Buddhists talk about something called impermanence. From what I see with pain patients is that they start to self-identify with pain. While they’re in physical therapy, it’s almost like “I’m broken” versus learning how to start to communicate with the patient and see that each day they come to therapy each week, they’re changing. They’re getting better, they’re getting stronger, they’re becoming more mobile, and they’re interacting with more parts of their life that they have lost and that they love. That can be one of the biggest challenges because they have to be part of what’s going on, but at the same time not identify that process as one that means they’re broken, so to speak. You’re describing a lot of rule-governed behavior that we have around something like PT. What’s fascinating about this work is that verbal language plays such a huge part into why we suffer. Relational frame theory is part of the foundation of ACT. What is so empowering to people is when they begin to see that even the thought “I am broken” can viewed as something that is passing and something that is changing. Doing exercises like we do in ACT, there are so many. The cognitive diffusion exercise is where we have people say one word over and over and over again to see how that word breaks down over time and loses its meaning so many times that you said it. For that example, we might use the word broken, and we might say broken for a solid minute or two to realize that that doesn’t actually hold much power over my life. What’s important is that I connect to the values that move me in the direction I want to go no matter what my experience is, no matter what pain that I might be experiencing, can I move towards something that’s important? What is happening right now does not define me. Physical therapists 99% of the time ask a patient during an initial evaluation, “What activity would you like to get back to? Or, “What would you like to be able to do again that you cannot do currently because of pain?”Often what they say is attached to their value. Meaning, I want a bike ride for instance. I want to get back to riding my bike. Why? Because my husband and I bike ride on the weekends and it’s an activity we do together that I enjoy, makes our relationship feel whole and my life feel whole as well. It’s so interesting the parallels between valued action and goals that might be set during physical therapy. At the end of any project, like your thesis, you always look back and think, “I should have done something different. I should have tried this.” When you reflect upon that now? What might have you done differently? What might have you chosen to do differently? First off, making sure that the systems are in place, which is why my research is getting that now to support something like this. Something we ran into is that we are limited by what is available. For example, how many master’s level clinicians are trained in ACT? Not a ton. First off, making sure we had other therapists, besides me, who are qualified, and finding a way to get more patients who would have the opportunity for this. Scheduling becomes a big barrier. There are so many things, but I would love to do this project again with more patients, with a variety of concerns, with more physical therapists, and having that active control ingredient. Again, this was a pilot study. It’s not meant to give us hard conclusions about if ACT is for physical therapy adherence or not, but just say, “Is this feasible, is this acceptable to clients?” We at least showed that this was a good approach for what we were trying do. Clients really liked it. Let’s do more. Let’s see the RCTs. Let’s take this to the next level. By the end of this study, did the physical therapist take interest in your specific intervention with the patients? Yes, I would say they did, especially the values work that you’ve mentioned as well. It’s something that you don’t need to have the full ACT model in place to do values work. That is what the physical therapist that I worked with enjoyed the most and wanted to incorporate into his practice. We talked about how he might do that with simple exercises, like the values compass or values clarity exercises that are common in ACT. You certainly don’t need to be an expert in behavioral analytic theory or relational frame theory to do. Those are not unique to ACT only as well. They’re useful. There are these little things that we can do that will make a big difference for something like PT. As a mental health professional, what would your advice be to a patient or someone in our audience? I talk about everything from nutrition to exercise to psychotherapies. How do we encourage more people to look at something like ACT in a way that’s not traditional psychotherapy where we’re sitting on a couch discussing what your relationship was with your mother? How do you make the distinction for patients? I would encourage clients to take an open approach to what therapy can look like. The more that we dive into this work, I am certainly not alone in what I’m doing. Therapy is changing and how it is being integrated into health systems, into even private practice clinics. The therapy session time is changing. We no longer think that you have to have a fifteen minute session to see improvement. You can meet with a mental health professional for fifteen minutes and get something meaningful out of it. Be open to these new approaches and know that we don’t just treat severe mental illness. I am conducting an acceptance-based behavioral weight loss group. It’s not something people think I should go see a psychologist for. That is actually why you should see me. I specialize in behavior change. If that is what your goal is, which is often the case with chronic pain, with losing weight, etc., we offer a lot to the table. Again, be very open to that opportunity and look at it from a new lens. Weight loss is important for people with chronic pain. Oftentimes when you stop moving, you gain weight or potentially the weight itself is causing chronic systemic inflammation that can cause pain. Can you talk about your work a little bit with ACT and weight loss? We are conducting an abbreviated version of the Forman Protocol, which is an acceptance-based approach to evidence-based behavioral weight loss. It’s currently one of the leading treatments that we have for weight loss from the psychological perspective. This approach combines a lot of what I talked about earlier with the sense that this is something we’re going to do for a lifetime. What we learned time and time again across disciplines is that we can get people to lose weight initially, but we struggle to help them maintain weight loss. This is where that therapy is trying to target, giving you the skills to treat not only the physical problems that we might have with weight loss, but also the psychological, all the thoughts and feelings that come up when we try to engage in effective weight loss behaviors. Our purpose is to generalize what we teach you in our group format to your life outside of therapy. So far we’ve seen a lot of great success. These are initial stages of it, but what is so powerful to people is that they learn you’re not alone and how hard this is. We can use a modality like this to treat a variety of problems that people have when it comes to weight loss. It transcends any disorder. We have people with mental illness, with chronic pain, with other medical conditions, with all different life avenues. One thing I’ve always loved about ACT is that it doesn’t see one symptom as the primary problem. It’s trans diagnostic. It’s an ideal situation for people who are trying to get together to lose weight or to make the meaningful life changes they need for long-term maintenance. Our purpose is to generalize what we teach you in our group format to your life outside of therapy. I had been speaking with Jennifer Battles. She is a graduate psychologist finishing up her degree. Tell us where you are in your degree and how many more years you have left and what is post-doc going to look for you? Do you have any of those things planned out yet? I wish. It takes such a long time to become a psychologist, unfortunately. I am a second year doc student. I’ll have two more years here at Eastern Michigan University, and then I’ll apply for internship and do post doc. My real hope is that I am working in an integrated care system, whether that is within a larger system or smaller clinics that are trying to do the ground work. The unique perspective that I hope to bring to this field is that I have an eye towards the system. I have an eye towards how can we change the way that we, as health providers, think about healthcare and how the administration can change the way that we talked about healthcare? My program specifically allows me great opportunity for that. We take several courses in systems management. We’re always talking about it in our classes, at the clinic that I’m at now, being interviewed and that. We take an eye towards that. That’s where I am. Hopefully I will be joining the professionals real soon. It’s interesting to talk about integrative care and systems approaches because I believe the research has been there for a long time, but our system has been quite slow to adopt the changes. It’s lead to things like a lot of chronic pain happening in society. We have a chronic pain epidemic, a chronic opioid epidemic, and chronic obesity epidemic. Your research is pivotal and I love when I meet practitioners who are starting to put all the pieces together and realize that it’s not just one thing, it’s probably going to be a combination of things that help people with the most chronic problems. Can you tell everyone how they can reach out to you if they’re interested in learning more about you and following your work as you continue through graduate school and beyond? The best way is to contact me with my email here at Eastern Michigan University, as well as find me on LinkedIn. I’m on there and have all the work that I’ve done so far. I’m very open to any questions that you have and I’m excited to help pave the way for the future. 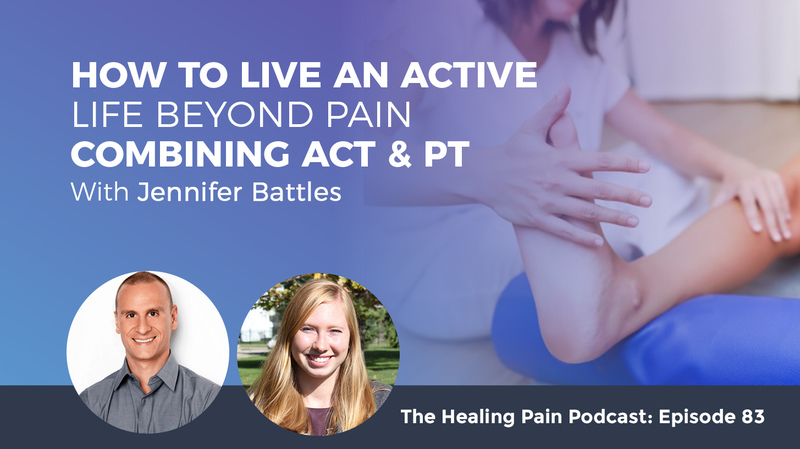 I want to thank Jennifer for being here today on the Healing Pain Podcast, talking about the intersection between ACT and physical therapy adherence. You can check her out through LinkedIn and connect with her there if you’re a professional or someone who’s interested in the work she’s doing. Thank you for joining me. I ask you to share this information out with your friends and family, whether it’s on Facebook, LinkedIn, Twitter, whatever your favorite social media is. Everyone lends their time. I want to thank Jennifer especially for lending her time because she’s in the middle of her studies. Thank you for being here. You can reach out to me via email at Eastern Michigan University o find me on LinkedIn. I am currently a second year doctoral student at Eastern Michigan University working towards my doctorate in clinical psychology. I earned my master’s in clinical psychology at Missouri State University where I first learned about and began practicing Acceptance and Commitment Therapy (ACT). Since implementing my first ACT protocol, I have been interested in applying this treatment in unique settings and for novel clients. My research interests primarily lie within the intersection of physical and mental health. For example, I conducted a pilot study exploring the efficacy of ACT on adherence to physical therapy while at Missouri State University. This study inspired me to continue working with ACT in my current research with projects that explore acceptance-based and mindfulness-based approaches to weight management. Clinically, I have worked with diverse clients in a variety of settings such as at the Headache Care Center in Springfield, Missouri. I am currently working on the Michigan Health Endowment Fund Grant with the Center for the Advancement Neurobehavioral Health which specializes in providing state-of-the-art care for older adults and their caregivers. On this grant, I help bridge the gap between behavioral treatments and medical care by working with clients with complex medical histories that often involve chronic pain. Contact Jennifer on her Linkedin account.